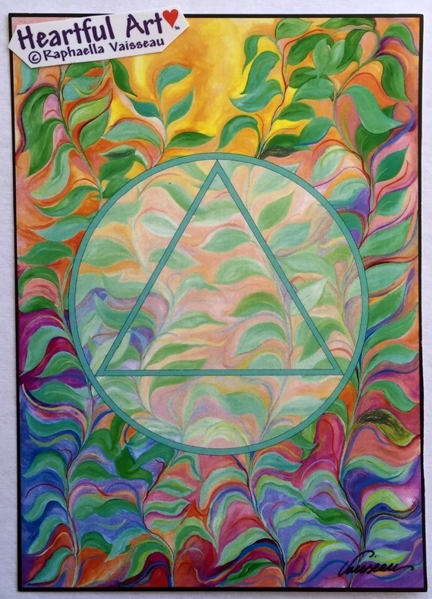 Poster or print of the AA Unity Recovery Symbol superimposed on a watercolor painting by Raphaella Vaisseau (Vines 2, watercolor on paper). The triangle within the circle represents unity, recovery, and service. The circle represents wholeness. Symbols are powerful and speak meaning and understanding to our subconscious mind without using words. This image can be a powerful meditation tool.